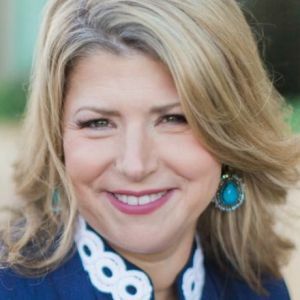 Jenifer Bartman is the Founder & Principal of Jenifer Bartman Business Advisory Services, assisting clients in the growth and transition stages of development. Service areas include investor-ready business and strategic planning, financing readiness and assistance, growth strategies, contract roles, and executive coaching. An experienced senior executive, Jenifer has over 11 years of Chief Financial Officer (CFO) experience, including nine years in the broad-based role of Vice President & CFO of a venture capital fund manager. Prior to this role, she worked as a management consultant, providing consulting and business advisory services to organizations across a wide range of industries. Key areas of assistance included strategic planning, feasibility and market research, financial analysis, human resources, and organizational review. Jenifer has developed and delivered accredited courses in various areas, including succession planning, business valuation, advising family business, accounting for business growth and transition, finance basics for non-financial managers, business planning, operational foundations for business, and technology commercialization management. A number of her courses are sold nationally. As a published author, Jenifer is currently working on a book project for release later this year, has co-authored Master Your Investment in the Family Business: How to Increase After-Tax Wealth, and is an expert contributor to It’s Your Money, Honey: A Girl’s Guide to Saving, Investing, and Building Wealth for Every Age and Life Stage. Her work has appeared in a number of publications, including Private Capital, Club Manager Quarterly, Canadian Capital, CareerVision, TELUS Talks Business, Divestopedia, Yahoo!Finance, and Golden Girl Finance. Jenifer appears on the CBC News Network Weekend Business Panel and was featured as an expert advisor in The Challenge, published by The Globe and Mail Report on Business. She is Chair of the Content Committee of the Canadian Venture Capital Association (CVCA), responsible for the overall direction of communications and marketing efforts, for effective promotion of Canada’s private capital asset class, both domestically and internationally, as well as on the Board of Directors and Marketing Chair of CMC-Global Institute. Jenifer was selected for inclusion in the Women in Capital Markets Board-Ready Directory and holds the designations of Chartered Professional Accountant (CPA, CA) and Certified Management Consultant (CMC). She is a graduate of the University of Manitoba, Faculty of Management (Bachelor of Commerce (Honours) degree, majoring in marketing and human resources).